Look, sometimes you just need a bunch of goats to scream at you to the tune of the theme song of a popular television show. I can't explain it; sometimes the world is a mysterious beast. But this Game Of Thrones parody "Game Of Goats" is way more amusing than it has any right to be and maybe — just maybe — that's some testament to the human condition. Or maybe goats just make really ridiculous noises. With Game Of Thrones officially back for its fourth season, we're all gonna need a little reprieve from all the murder and the medieval mayhem. So... why not go with goats, really? 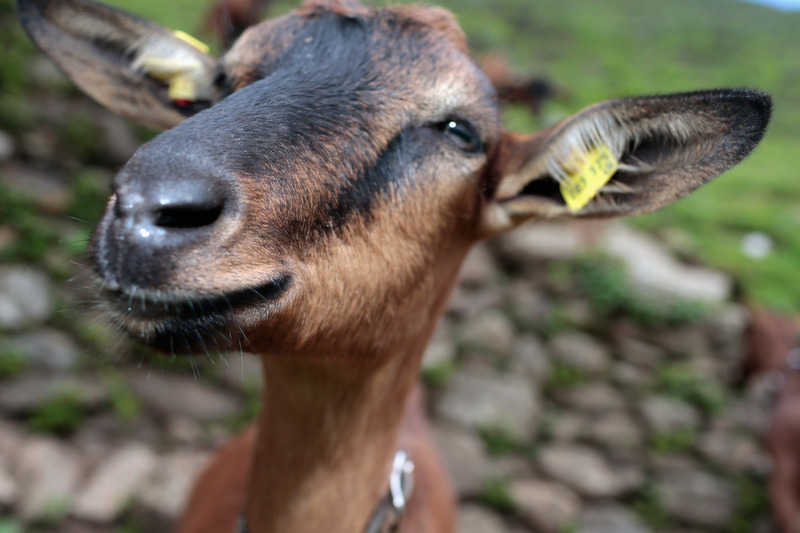 We learned last year that goats are great additions to pop culture moments — just ask Taylor Swift's "(I Knew You Were) Trouble," and the goat responsible for making it one of the most replayed moments of my 2013. What can I say? Sometimes goats who scream like humans can just get to you. It should also be noted that one of the "goats" in this video is most definitely a sheep. Blasphemy. The Game Of Thrones theme song is definitely one of the most singable theme songs that also happens to lack words — it's right up there with the themes for Buffy and Doctor Who — so it only follows that it is humanity's duty to pair it up with as many different animals as possible.